Fantastic service from start to finish. Dave is a lovely straightforward man and I love my new car! Very pleasant and friendly staff. Nothing is too much trouble for them. They’re always prepared upon your arrival. Great experience at a friendly local garage. Would definitely recommend!! Great service , 5 stars ! I would happily recommend Golden Hill Garage. Bought A Suzuki Alto recently and they are very easy to deal with. All the staff I met are friendly, professional and helpful - not in the least bit pushy. The garage has an excellent reputation locally which is one of the main reasons I chose to buy from them. I was happy with the price I paid and the overall service I received. The salesman was very helpful. I turned up without even thinking of buying a car, he showed me the cars I seen online and allowed me to test drive one (which I eventually bought). Wasn't pushy at all and just allowed me to browse at my own lesuire. Nice touch on the coffees as well! I would use the garage again. What can I say excellent throughout. Everything went very smoothly. The service manager was excellent who made you feel very welcome. The replacement tyres was carried out with the upmost care ensuring the wheel rims were replaced without any damage. The torque setting was spot on as was the air pressure in the tyres. Could not fault their care and service. I was nervous about buying a car as I have no one to help me. Les put me completely at ease and nothing was too much trouble. 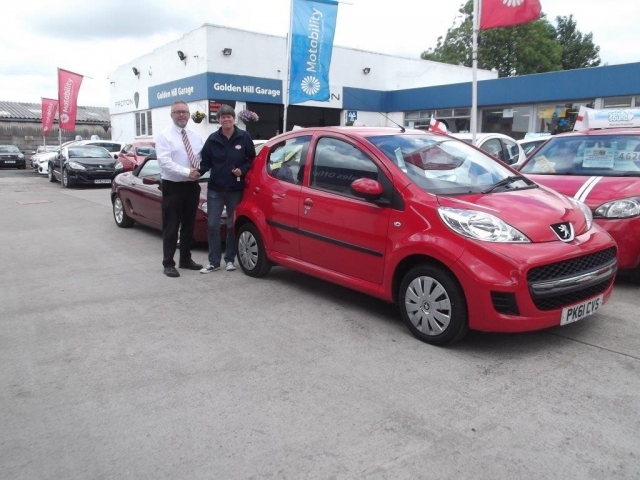 I was shown a selection of cars in my price range and there was no pressure to buy anything. Once I had made my choice everything was done to ensure I had the best possible deal. I had gone to this garage because of the favourable reviews online and I am happy to add my positive experience. I love my car!! Professional and friendly. I can understand why they have such a high reputation. Nothing was a problem and the staff were first class. I’d hope my next car would be bought from these guys. We saw the car on eBay. Liked what we saw booked a test drive. Very officant sales men 4 stars only because they said they'd put enough petrol in to get home but on red and straight to garage. Small detail, love the car..
We were very happy with our experience of buying our used Peugeot 108 from Golden Hill Garage. The salesman did not pressure us in any way to buy the vehicle. He was very helpful with any questions we needed answers to . We found all the staff at the garage very pleasant. The car was displayed on the forecourt in a very clean condition inside and out as were all the vehicles. They have a wide choice of makes and models at reasonable prices and we would not hesitate to recommend them to anyone wanting to purchase a good clean used vehicle. On the day we were collecting our car, we had a problem with the train being cancelled at the Preston station. When we contacted the garage to inform them that we would be late as we would need to get a taxi for the remainder of our journey, they very kindly sent a member of staff to collect us. We were very grateful for their consideration. We had looked online and see a car we liked. When we got to the garage the staff were friendly, knew which car we were interested in and let us look. We put a deposit on starlight away and returned the day after to have a full test drive and complete the purchase. The whole process was simple and problem free and completed professionally and quickly. Nothing was too much for the staff and all questions answered. Very good buying experience. Golden Hill did everything they said they would do, in the time they said they would do it. No messing around, all very straightforward from phoning up with an initial enquiry, to test driving and closing the deal. Would recommend. Les the salesman was extremely friendly, professional and polite. He made sure everything was arranged for my car and that it was ready for when I picked it up. Thank you very much Les! Have bought many cars from many companies and must say this has been the best experience from start to finish. No pressure from anyone was the key but good honest professional service. My car purchase was a hassle free experience . The staff were great , nothing was to much trouble . The car was valeted and ready to go . Would definitely recommend them . From start to finish It was a nice easy experience of buying my own car in 5 years. No pushy salesman, just allowed to wander around the great selection of cars they have for sale here, I love my new car, thanks Les. Brilliant service, and brilliant guys, can't fault Golden hill garage at all. HIGHLY RECOMMENDED. I first encountered Golden Hill Garage back in May 17 when I bought my beautiful Mercedes Benz SLK. The car was fabulous and a lot of fun, but time moves on, and I now needed something a little bigger. 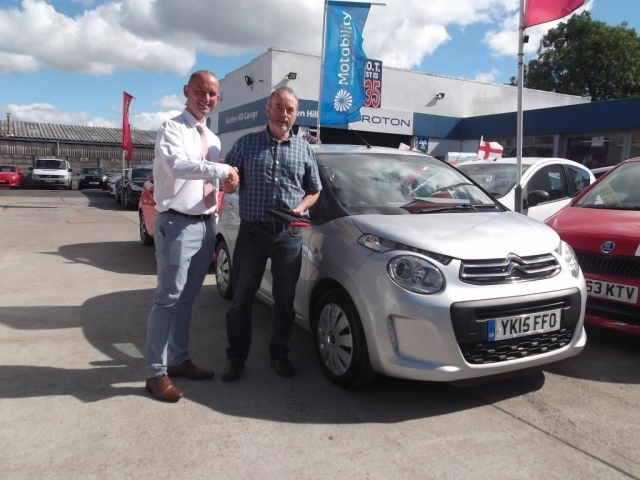 Having been really impressed with the service I received first time round I returned to GHG with a challenge – I knew exactly the make and model of car that I was interested in and I knew my price point but I was short on time to actually go out and find ‘the one’. I sat down with Les, went through the details and left him to work his magic. Within 24 hours I received a phone call, they’d found just what I was looking for. Perfect! 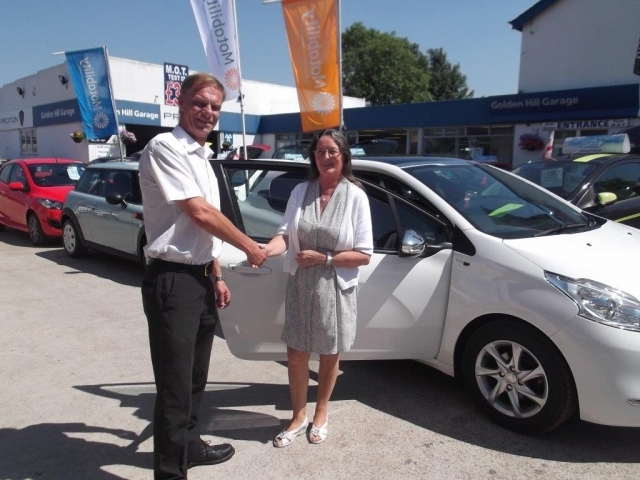 A week or so later I took delivery of my new car confident that the service team at GHG had put it through an extensive inspection so that it was in tip-top condition. 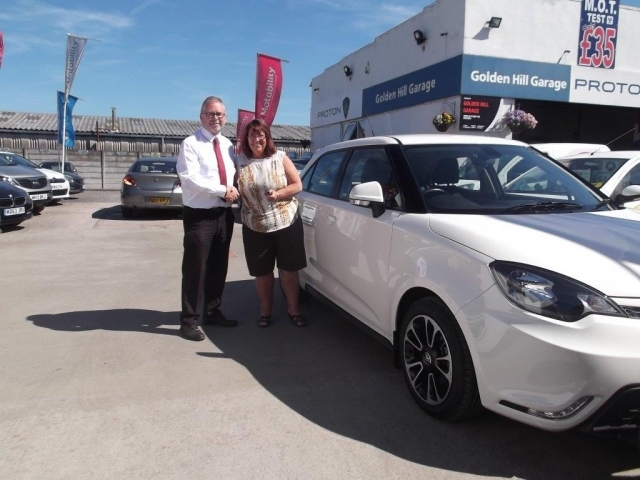 At GHG you’ll encounter first class customer service - no pushy sales people here - and I have no hesitation in recommending the team to prospective buyers looking for their next car. Very friendly and helpful. Second car I have bought from here as the salesmen are not pushy and let you view the cars in peace but are on hand if you need help . Would definitely buy my next car from here . Very helpful and the process of purchase and part exchange with my old vehicle was made very easy. Dave Johnson the Sales Executive was very helpful . I don't know much about cars but when I did see a car I looked the sight of he gave me advice of the it . That made me want to buy the car then Dave took me through all the process. I'm so happy I went to Golden Hill Garage in Leyland as I don't live in Leyland. I would recommend them to anyone who wants to buy a second hand car. Smooth from start to finish, not pushy but helped made my decision. The only garage that engaged with my wife and son. 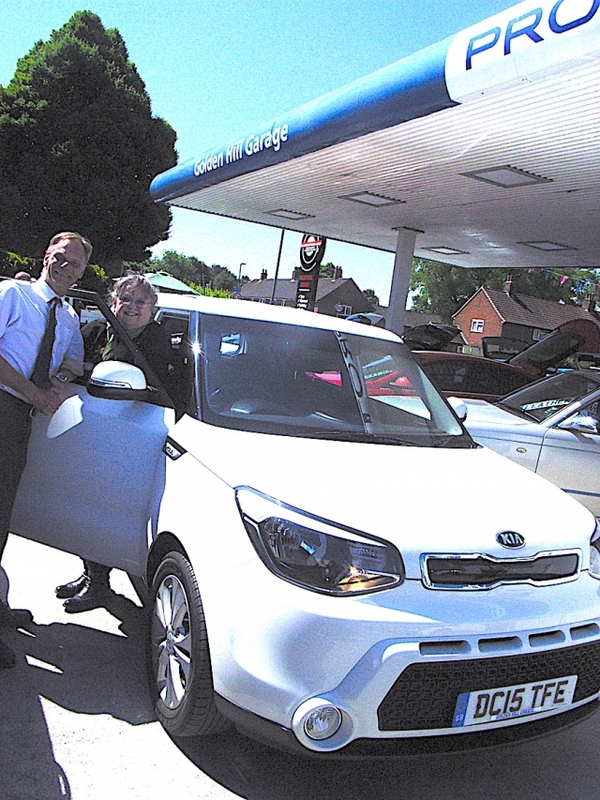 From the moment I walked onto the forecourt and into the sales office I was treated like an old friend. Offered a comfy seat and a coffee,. No sales patter, no pressure to buy, just genuine honest people. During the sale was well looked after. Came across a couple of glitches which I was given a rental car whilst mine was sorted. Staff really did go above and beyond to make sure my car was in the perfect condition for me to drive away safely and happy. And that is exactly what happened. Even after the sale and leaving with my keys I have left knowing if there’s anything I need I will be welcomed back. Extremely happy with my purchase and care from staff at golden hill garage would definetly recommend. Our experience with Golden Hill was first class from walking in to driving away. We were left to browse the cars without being hassled, but the sales people were helpful when asked. We got a pressure free sales experience at an easy to follow pace with all the particulars properly explained, so we were happy to sign on the dotted line. On collecting the car, all the jobs we asked for were completed (a rarity in my experience) and a couple more, which were found on the MOT, were done without quibble. For my experience with Golden Hill, I think they went above and beyond what I'd expect, so no hesitation buying there again. Oh, and the coffee's decent as well! From the moment I walked into the garage the team there are superb. The sales team were very helpful, helping me with the finance side. I will definitely be going back to this garage in the future for service and MOT. My husband will be needing a new car in the new year and we are already committed to using this garage. This garage is very trustworthy and reliable. Would highly recommend. The staff were great and the service they provided was simple and straight forward no messing. Very positive buying experience from Golden Hill Garage. Sales staff were low pressure but very knowledgeable and friendly. Highly recommend. Very helpful and honest. We are always met with a warm welcome and feel valued as a customer. 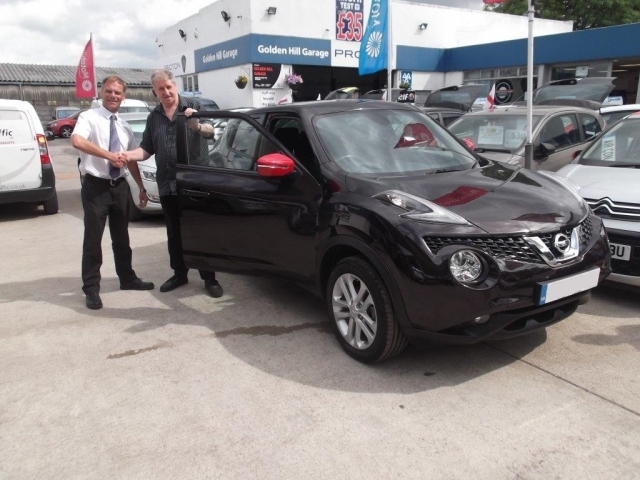 The salesman provided a good, friendly, helpful and professional service with a strong customer focus. Such a warm friendly atmosphere! I had to make 3 trips in the transition of purchase to sort out the paperwork and each time was greeted with friendly staff and open arms. The gentlemen who sold me the car was friendly, polite and pleasant to speak to. Very helpful as well with the purchase of the car. Definitely would go there next time! Excellent service from Goldenhill Garage from start to finish . Would highly recommend . Staff are very friendly. Trouble free and a pleasure doing business with Golden hill garage. The man you need to see is Phil if you want the best deal on a used car. Reliable, truthful and honest. I'll be back again in a few years when it's my time for a change of car. I got me a very tasty low mileage Mazda mx5 from here today and it's an excellent drive. Many thanks to all at Golden Hill. Great service, easy to deal with, really helpful from start to finish . Would recommend to anyone. Very polite and friendly people. Who make great coffee! Based on my impressions i sensed that this was a dealership that i could trust and will deal with again. 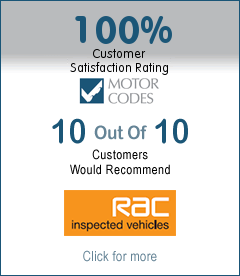 Great service, easy to deal with and the vehicle was beyond all expectations. Very good from start to finish. Would recommend to anyone. Very polite and friendly people. Not pushy at all. This is my third car from this garage, excellent service would highly recommend. I bought my car from Golden Hill Garage on line and from a distance. I was delighted with the service I received. Professional and courteous conduct made my transaction a pleasure. Their concern that I was totally happy with the vehicle before I transferred my payment instilled me with total confidence. At Golden Hill they are everything they say they are. I would definitely buy again if the opportunity arose. Thank you for your assistance. Everyone was very helpful without being too pushy, approachable and very friendly. After visiting another garage previous to this it was like a breath of fresh air. 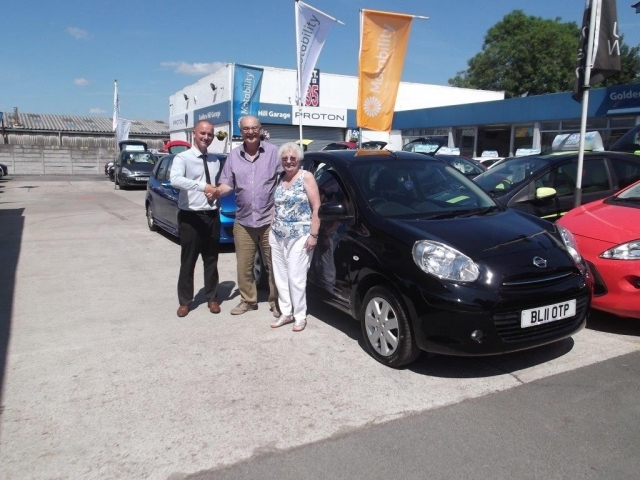 We found the salesman was very helpful and forthcoming about the car's full history and was keen to ensure any required work was agreed and sorted out. A repeat fault with the aircon was quickly identified and sorted out within a day . We're well pleased with the car and would happily buy from them again. Friendly pleasant informative helpful not pushy staff. Visited this showroom due to a recommendation from a friend. All the staff are very friendly and far from pushy which is a big plus. Really happy with both the sale and the after service and would highly recommend. Excellent customer service; really helpful staff and very efficient. Staff made the experience really straight forward and I would recommend them to anyone! Friendly service with a no nonsense sales chat.All the staff are very friendly and helpful which made buying my car from this garage so easy . This place will be my first choice from now on. Excellent experience at Golden Hill Garage, from start to finish! Great service and they made me feel comfortable and confident in purchasing a car from them. Thank you! I LOVE my new car ! Excellent service. Helpful staff and good treatment. All went to plan, paperwork was ready and seemed well organised. Absolute first class from start to finish. There couldn't have helped me anymore than they did. Quality cars at quality pricess would highly recommend Golden Hill Garage! Thank you. Excellent service and made everything so easy. Not the first time I've dealt with them and it definitely won't be the last! The whole process was really easy, no pushy salesmen or jargon, I was given lots of opportunities to ask any questions and all information was provided in writing. Friendly, helpful and no hassle. When we expressed concern the new car might not fit in the garage, they suggested we take it and try it. It did, just! This is the second car we have bought from this garage and once again we were treated in a friendly manner. I would recommend them. No pressure from the salesman. Our car was sold to us fully serviced and full MOT Full valet and polished. 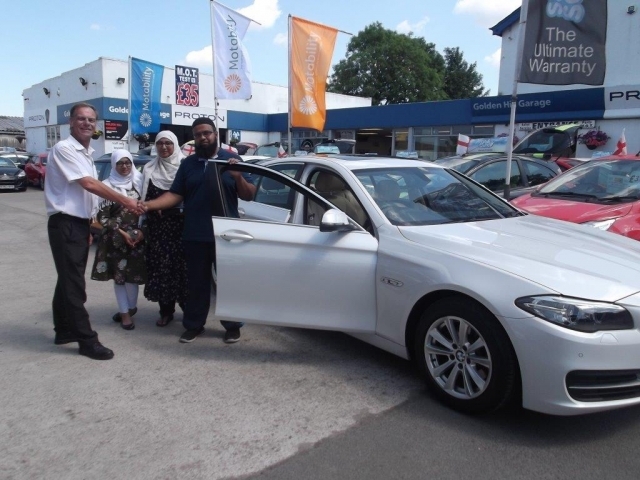 The family Imran Jilla travelled up to Golden Hill Garage in Leyland from Leicester to collect their lovely new car. 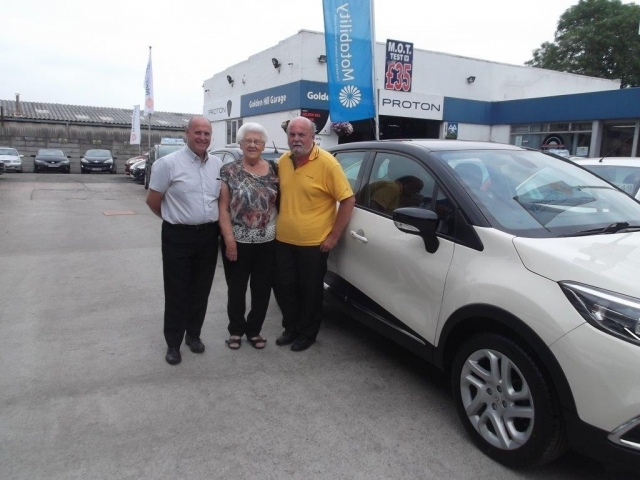 "Very friendly service from start to end. The sales team really helpful with any queries we had. We would definitely recommend them." 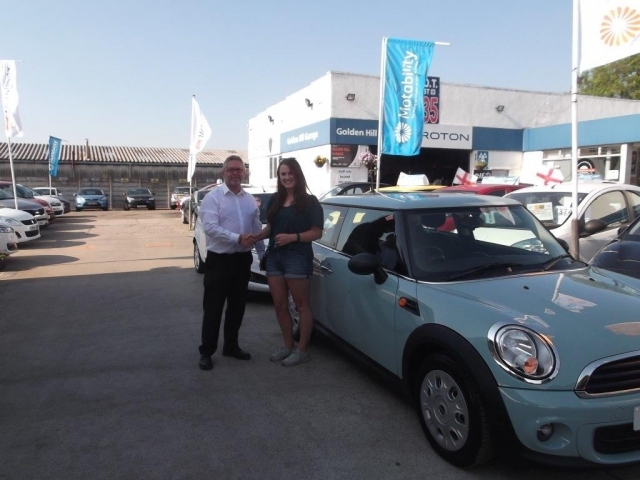 A very happy customer, Marillyn collecting her car this week. Handing over the keys to to Jennifer for her new red Mazda today. 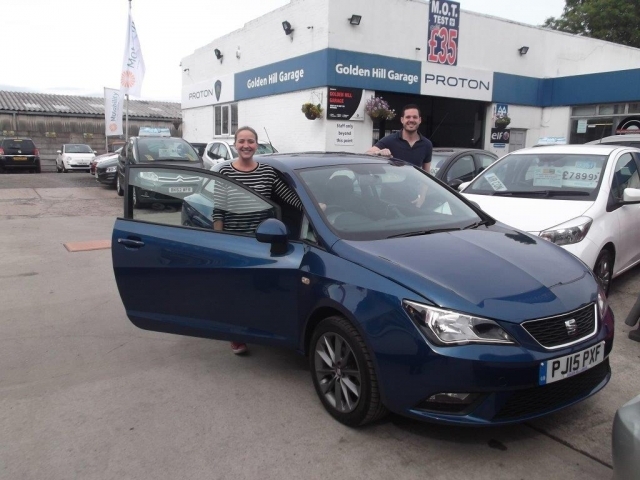 The guys at Golden Hill Garage were very friendly and helpful, which made the purchase of my first car a very easy and exciting one! They were professional and explained everything to me in a non-pushy and respectful manner. Would definitely recommend! Handing over the keys to Janet M. for her new car. Happy motoring! 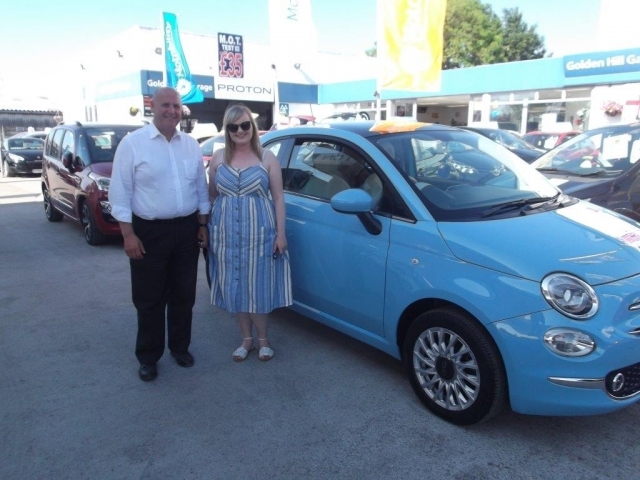 A very happy Mrs Stanley picking up the keys to her new car today. 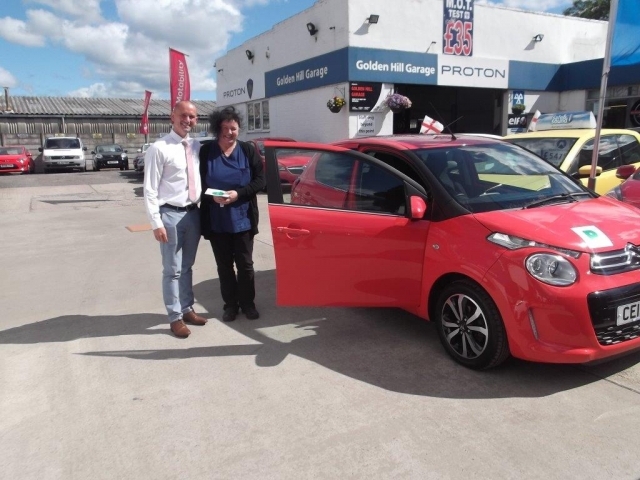 A very happy Julia B. collecting her red Citroen from Golden Hill Garage this week. Fab Team and Fab Car! Absolutely fab service even delivering my new Kia Soul right to my door. The staff is so accommodating and friendly. Would definitely recommend this team. I have bought cars since 1968, and this is my best experience. Friendly atmosphere with no harrassing salesmanship.....would happily recommend the garage to other people. Our recent car purchase a pleasant experience! Excellent friendly and informative service. No pressure to buy allowing us to make multiple visits before making our decision to buy. Even when having a test drive booked, allowing us to view and discuss alternative vehicles that had just arrived . I just wanted to quickly say how enjoyable my car purchase experience was at Golden Hill Garage today. The staff was so friendly and helpful, especially Phill who was informative and pleasant throughout. Herewith, a couple of happy photos taken today. Cannot wait to start driving my Kia Soul. Quality service,affordable cars, plenty of choice, no hassle sales persons, who had vast knowledge of the cars for sale. Brilliant service from the garage, had lots of help and assistance when needed. Would recommend to anybody looking to buy a quality car. 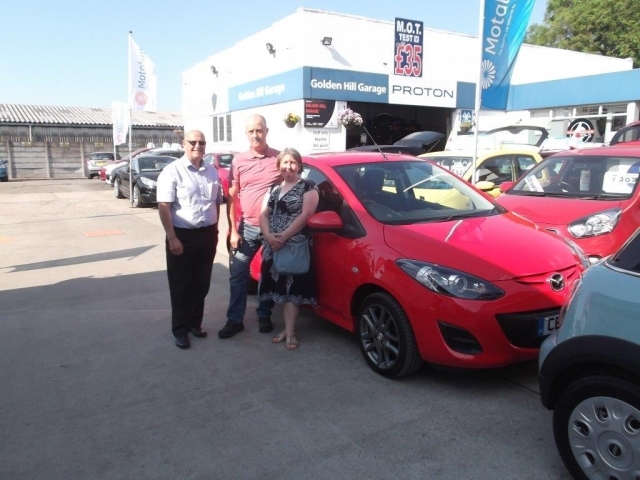 Golden Hill made buying our new car pleasurable and stress free. We are lucky to have such a brilliant, reliable garage as our local. Cars well presented. Knowledgeable and courteous staff. Reasonably priced stock and no attempt at hard selling. Everything that was promised was done and within the agreed timescales. I'd certainly go back again., which isn't something I've said about used car dealers before. Excellent service received. I arranged the purchase without seeing the vehicle, subject to it being as described. The description was absolutely spot on and I am very happy. The guys were really great to deal with. Very highly recommended. Absolutely brilliant customer service. Got a fantastic deal and would highly recommend. Got a great car and the service was excellent. I’m very happy with Golden Hill Garage and would recommend it. Very good salesman not pushey at all. car was spotless and let us take our time to make our decission. An all round great garage! Honest, helpful, and no hard sell. Such a relief to go somewhere which have all these qualities and more. The sales team were welcoming and gave us space to look round. We had a minor issue with the car after purchase which was rectified promptly, by the service team. If I was in the market for another car I know were to go back to first! From first looking at the car to collecting it the whole experience was a pleasure there was no pressure from the sales unlike other companies I have visited. The salesperson I dealt with was there when needed but left us to make our decision in our own time. I would recommend this garage to anyone wanting good service. I got a warm welcome, and a great deal from Golden Hill Garage. They answered all my questions, honestly, and I didn't feel pressurised in the least. This is the second time that I have changed my car with them, and the fact that I've shopped around my local garages, and yet still drive a 70 mile round trip to visit them, shows how highly I rate them. 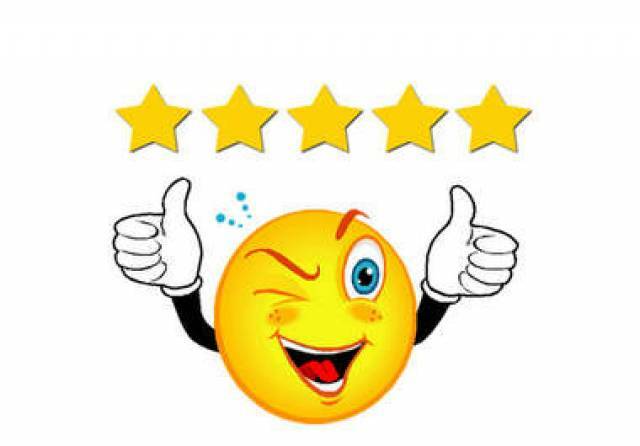 I'm delighted with my used car, and am happy to recommend them as the best car dealer that I have used. Great customer service, smooth transaction of purchasing my car, kept my updated throughout the process. Friendly staff . No pressure. Good selection of cars. Excellent service. 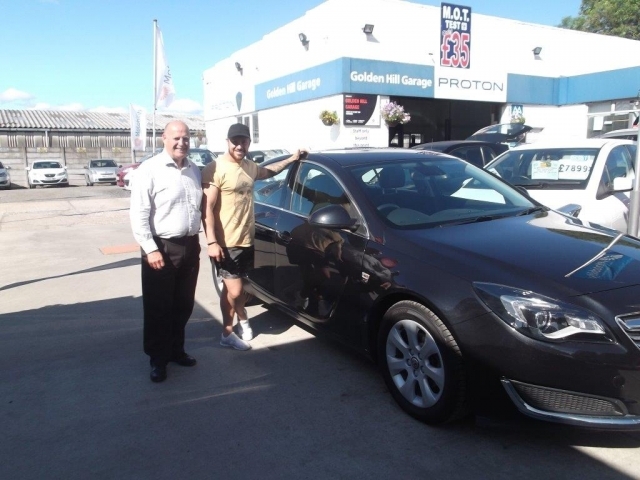 Great service from start to finish in buying a car from Golden Hill Garage. No pushy salesman in your face like some car centres, nice relaxed and friendly approach. I think all cars should be sold this way. Great service from start to finish in buying a car from GHG. No pushy salesman in your face like some car centres, nice relaxed and friendly approach. I think all cars should be sold this way. I just picked up my new car from this garage and I can say that the whole experience was first rate. No pressure when looking at the stock and after narrowing my choice to two cars I negotiated a good trade in price from the salesman who explained in detail all my after sale options. I would reccommed this garage to anyone. Professional, friendly and painless transaction. Would buy from them again. A Gem of a Dealer, who do care! I can't seem to fault this Dealer, the car is exactly what I wanted, and no faulty bits. I have purchased from a few places before and have had the nightmares that most people have. After being burned before, I researched as much as I could about the dealers rather than the cars this time. I am adding this review, so other people can see it's a good place. They even replaced a mirror glass in the wing mirror as it would fall out from time to time. This was done after the car was purchased, with no arguing! I will buy my cars from here from now on. Also, if you like sweets, make sure you ask for some, they have pockets of them. On a serious side though, The salesman who sold me my car and from looking at one to driving it away, followed the sale and after care like a true Professional. Well done Golden Hill Garage. Very helpful and efficient made buying my new car really easy. Every one very helpful and efficient. The whole experience of buying my car from Golden Hill Garage was a pleasure from beginning to end. The staff were excellent and couldn’t have done more in regard to helping me through the process,let’s face it you don’t part with large sums of money every day and in my case I didn’t have a large sum of money but that wasn’t a problem because they arranged my finance in less time than I take to wash a car, let alone, buy one. Now that I have had first hand experience of their service I will be going back even though it’s a two hour drive it’s well worth the trip. Professional and friendly no pressure salesman. It was a cold rainy Sunday but the salesman stood in the cold ,cheerfully answering my questions.Made purchasing easy. After visiting a few car dealers recently, this one was by far the best. We did not feel pressured, the staff were very pleasant and patient. They did not expect us to make any decisions there and then which unfortunately some other places make you feel like you have to. They care about their reputation very much which is why they are not pushy. We felt very comfortable and they made us a drink and left us alone to have a chat. They had a wide variety of vehicles on show and they have payment options. I would just like to thank them for not making me feel pressured and to me that is a big problem in many car dealers. Great to deal with, courteous, friendly and helpful without pressure. All the vehicles I saw were immaculate and I’m very happy with my final choice. The Best Place To Buy a Used Car! Good, Old-fashioned Customer Service, Like it Used To Be! Pleasure to do business with them, it was all very easy and straight forward . Would highly recommend, David made it an enjoyable and simple experience. 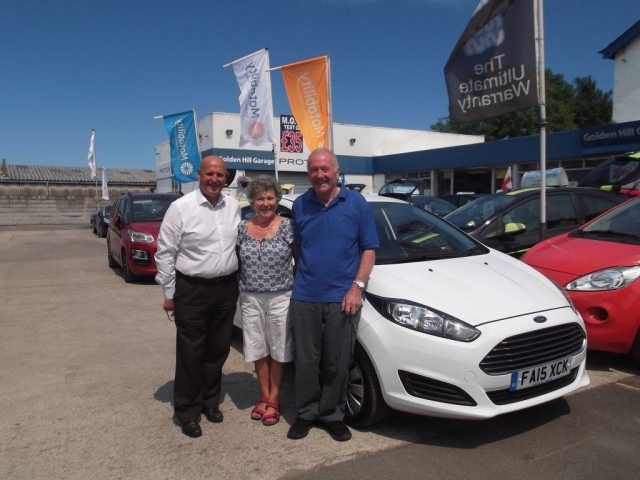 Thank you very much for turning around the delivery of Dylan's Fiesta so quickly. After looking at similar cars all over Lancashire we located the Fiesta that you had for sale. On viewing it we discovered that it was actually 9 months newer than any of the others we had seen at the same money. 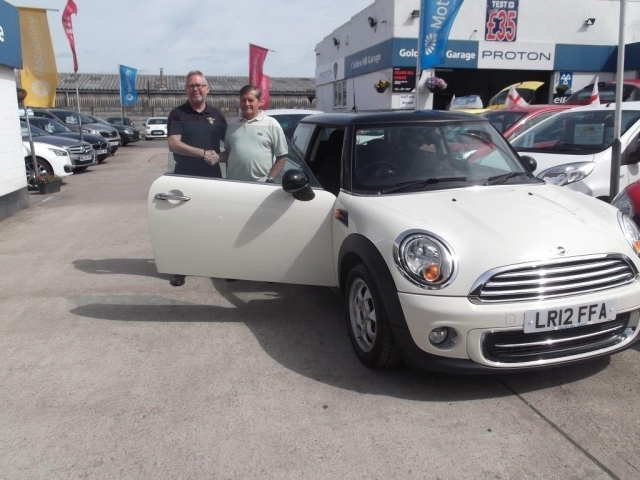 We viewed it and agreed to the sale on Saturday and you managed to fit the extra options that we needed, service it and valet it for a Tuesday delivery. 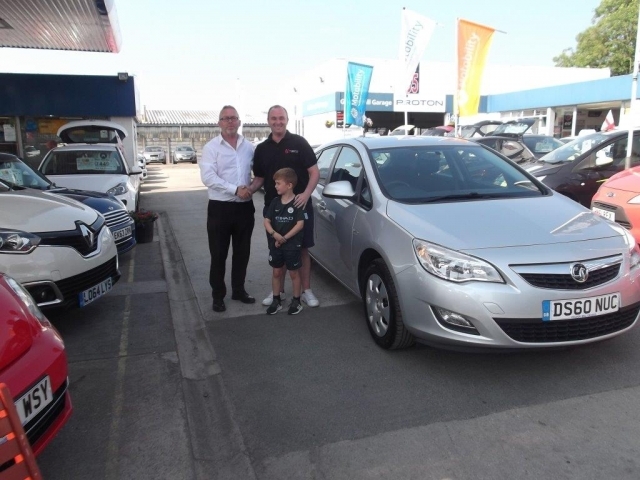 Great Service, Great Value and Dylan is over the moon with the car. Excellent service and a great car, would definitely use again. From start to finish very professional set up. Sales guy was excellent, left us alone to decide between the two cars we had chosen, without sales pressure. Everyone I spoke with and met at Golden Hill were both friendly and helpful. Everything was explained clearly and I feel completely happy with my new purchase. Excellent all round. Friendly, helpful and knowledgeable. Very reassuring and good service. Top team and top garage! THIS IS MY SECOND CAR PURCHASED FROM GOLDEN HILL GARAGE, AND I WOULDN'T GO ANY WHERE ELSE NOW. Well pleased with the sales rep ,very friendly and professional. well organised garage. Excellent customer service and fabulous car. Would highly recommend. Perfect customer service! Excellent service from the guys who dealt with my purchase of my new car and all staff lovely and friendly. Trusted Dealer. Honest good quality second hand cars. Very friendly, honest staff. 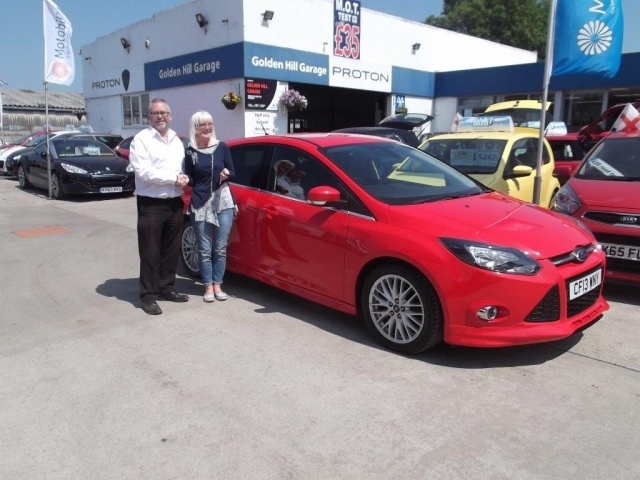 Dave, just a quick email to thank you and Golden Hill Garage for a very pleasant and easy transaction with the purchase of the new car. The car is exactly as described and what I would describe as immaculate for the year and mileage, the interior is “as new” with the smallest signs of any wear as to be expected. Distance purchasing of a car is always a difficult decision, especially when you consider I wasn’t even collecting the car and had a third party collect the car for me! I’m sure the mother in law will enjoy many years of trouble free motoring with the new car. Jeff and Dave were brilliant. I went with 3 or 4 cars I wanted to see, Jeff helped me narrow it down and we test drove the car I liked. Dave helped with the finiance side and they both got the car to me as soon as they could. The car was checked before they sold it me and I'll definitely be going back there to have my car serviced and when I want another car, this will be the garage I'll go to. I had problems with my DS3 and Nick and the team went out of their way to help me..it was still under manufacturers warranty and Nick contacted Citroen and brought the car to them to be fixed all was sorted the next day...fantastic service well impressed!!! Thanks again Nick!! Just bought a lovely. Little smart car, staff where all lovely made us feel very welcome give us lots of help & advise. Would recommend anyone looking to buy a car to try here first. Highly recommend this garage. .. been going for many years...Cannot fault them at all. Friendly staff who always go out of their way to help. 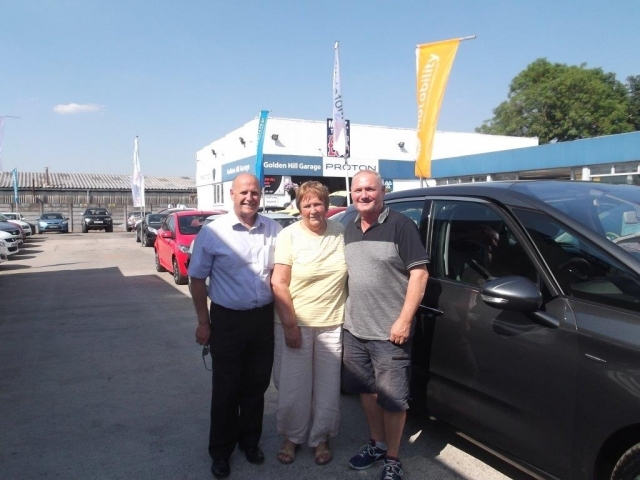 Phoned on Tuesday about a car, Viewed and bought it Wednesday and picked up Friday, what a fantastic Company, customer focused and attention to detail is Brilliant, Dealt with Both David and Bill who were superb and a real pleasure to meet. Always had brilliant customer service form Golden Hill Garage, in particular repairs and servicing. Took my car in this morning at 8 and the work was taken care of within half an hour.